Is the Wildrose Caucus about to merge with the PC Caucus? 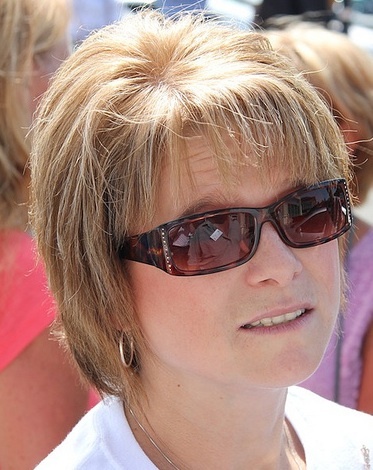 Are more Wildrose MLAs preparing to cross the floor to the Progressives Conservatives? 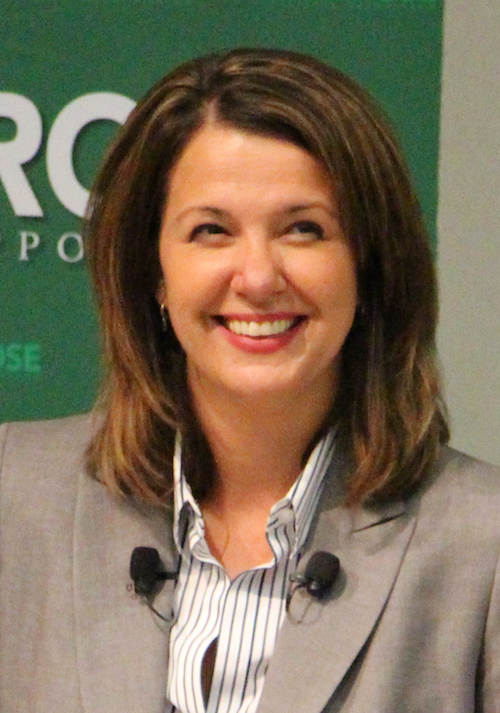 Independent MLA Joe Anglin has told reporters that Danielle Smith‘s 14 MLA Wildrose Official Opposition Caucus will vote on Tuesday, December 16, 2014 on whether to join the governing PC Caucus. Mr. Anglin’s comments, claims published on an anonymously blog and tweets from conservative activists fuelled the rumours of the Wildrose Party’s demise on social media last night. The sources of the rumours are questionable, but the curious silence of official Wildrose Party social media accounts suggests that the merger of the two caucuses could indeed be on the table when Wildrose MLAs meet on Dec. 16. The loudest rumours point to Wildrose MLAs Rob Anderson and Shayne Saskiw crossing the floor, a claim Mr. Saskiw quickly denied on Twitter. Cypress-Medicine Hat MLA Drew Barnes also tweeted his commitment to the Wildrose Party in response to the rumours. This is not the first time we have heard rumours of a merger. In May 2014, Ms. Smith told reporters that then-PC leadership candidate Jim Prentice had proposed a merger of the two conservative parties. 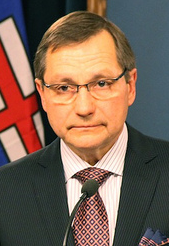 At the time, Premier Dave Hancock denied the claims, but it was clear that Mr. Prentice was reaching out to Wildrose MLAs. Since becoming Premier, Mr. Prentice has robbed the Wildrose of its most effective talking points by committing to focus on property rights and reversing many of former premier Alison Redford‘s most unpopular decisions. In some ways, it is now difficult to tell what differentiates the Wildrose Party from Mr. Prentice’s PCs. 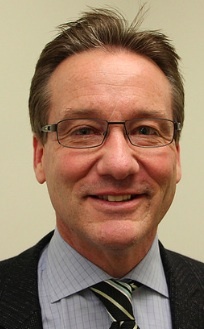 Last month, Wildrose MLAs Ian Donovan and Kerry Towle, crossed the floor to the PC Caucus. And only weeks before that, Mr. Anglin left the Wildrose Caucus, claiming that a ‘civil war‘ was being waged within the party. After losing four by-elections in October 2014 and losing three MLAs since then, the normally loud Wildrosers have toned down, and in some cases struck a more conciliatory tone with the governing PCs. 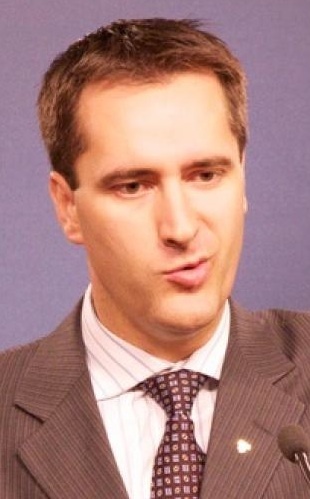 Even normally hyper-partisan Justice Minister Jonathan Denis tweeted about working with Mr. Anderson on a Wildrose Caucus amendment to Bill 2: Alberta Accountability Act. If that does not signal a warming of relations between the two caucuses, I’m not sure what else would. But despite the party’s recent poor showing, a Wildrose Party led by Ms. Smith could still remain competitive going into the next election. The party has collected an impressive war chest and has nominated candidates in more than a quarter of Alberta’s constituencies. Recent polls show the party sitting at 29% support, only five points behind Mr. Prentice’s PCs. The question is whether the change in tone signals a new strategy or preparation for a merger with the 43-year governing PC Party? If there is truth to the merger rumours, the departure of more Wildrose MLAs (including Ms. Smith) would be a death blow to that party. 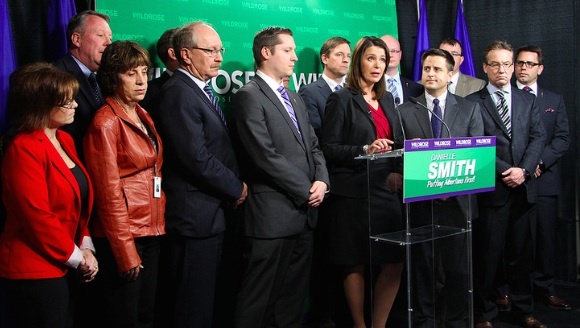 What would a Wildrose-PC Caucus merger mean? MLAs crossing the floor is a fairly common occurrence in Alberta and Canadian politics, but I cannot think of any time when an Official Opposition Caucus has voted to merger with a governing caucus. 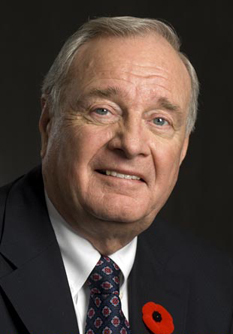 Unlike the merger of the federal Canadian Alliance and PC Party that created the Conservative Party of Canada in 2003, there is little to no chance another party will form government in the next election (in the context of 2003, a PC-Wildrose merger would be more like Stephen Harper‘s Canadian Alliance joining Paul Martin‘s Liberal Party). In a scenario where nearly all the Wildrose MLAs crossed the floor to the PC Party, Raj Sherman‘s five MLA Liberal Caucus could regain its role as the Official Opposition. But the Liberals would only hold that title until MLAs Kent Hehr and Darshan Kang resigned to run in the October 2015 federal election. Upon their resignations, Rachel Notley‘s four MLA NDP Caucus could become the Official Opposition. This entry was posted in Alberta Politics and tagged Alison Redford, Cypress-Medicine Hat, Danielle Smith, Darshan Kang, Drew Barnes, Ian Donovan, Jim Prentice, Joe Anglin, Kent Hehr, Kerry Towle, Paul Martin, Rachel Notley, Raj Sherman, Reunification Agreement, Rob Anderson, Shayne Saskiw, Stephen Harper, Wildrose-PC Merger, Wildrose-PC Party Merger on December 16, 2014 by Dave Cournoyer. False Passengers and Fake Promises: Could the PC Party be choosing the next opposition leader? Here’s a question that isn’t often asked in Alberta: Which of the three Progressive Conservative leadership candidates would make the best Leader of the Opposition? An insane trail of scandal continues to leak out of the 43-year-long governing PC Party as it lurches towards a leadership vote on September 6. A CBC exclusive story alleged today that Auditor General has uncovered “false passengers” were booked to ensure that Premier Alison Redford and her political staff would be the only passengers on government planes during certain flights. The leak was a draft copy of a report Auditor General Merwan Saher is expected to release in August 2014 and will also include a review of the former premier’s flights to South Africa and Palm Springs. Along with Ms. Redford’s secret plans for a private penthouse residence, this week’s secret cancellation of a three-year pay-freeze for senior government executives (which was only implemented 17 months ago), and the Auditor General’s discovery last month that the province has failed implement its much vaunted Climate Change plan, the PC government does not look like the well-polished machine it once was. Two years ago, PC candidates led by Ms. Redford promised a new era of open and transparent government. It appears that the fake passengers were not the only fabrication. Is it possible that the three men vying to lead the PC Party did not know about the false flyers? Both insiders, Thomas Lukaszuk served as Ms. Redford’s Deputy Premier and Ric McIver was Transportation Minister from May 2012 to December 2013. While they have denied knowledge of the flights, it is strange that at the very least these two senior cabinet minister had not even heard rumours about the Premier’s alleged fictional bookings and questionable travel habits. 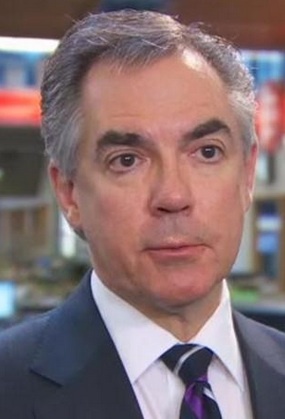 And Jim Prentice? 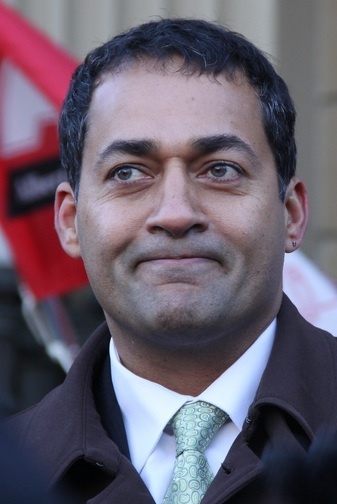 He is not an MLA and was busy working for a big Bay Street bank during Ms. Redford’s reign. But what of Finance Minister Doug Horner, whose department is responsible for the Alberta government’s fleet of airplanes? 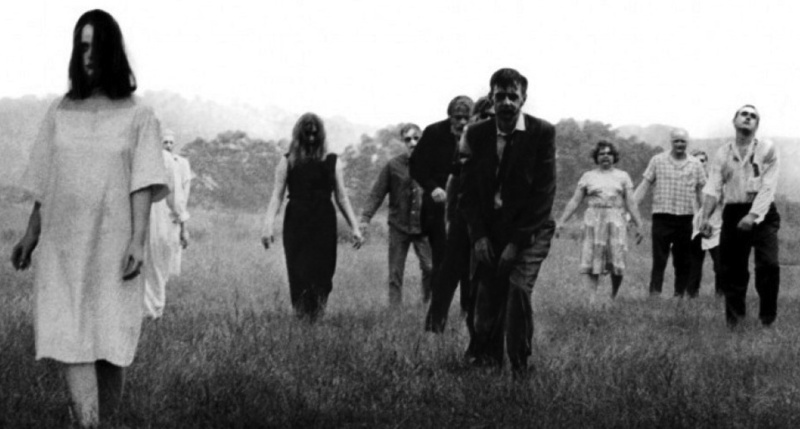 Surely someone within the Finance Department would have been aware of these alleged ghost travellers? Mr. Horner, along with 50 other PC MLAs and nearly every PC Party insider, is supporting Mr. Prentice’s bid for the PC Party leadership. Mr. Prentice, who appears to only speak in generalizations and avoids details in all his public announcements, issued a statement on his Facebook Page in response to the allegations. “Albertans do not need excuses from those who were at the table when these decisions were made,” Mr. Prentice’s Facebook statement said. 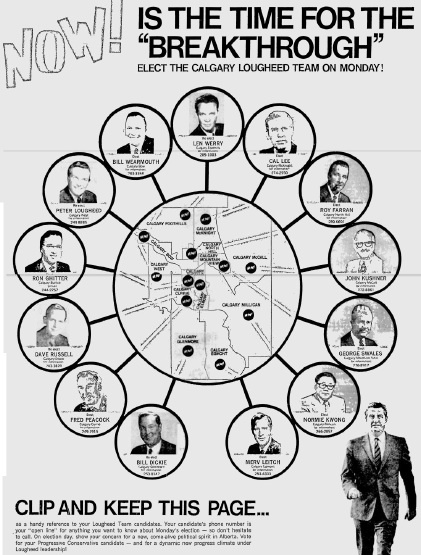 Nearly everyone who would have been sitting around the cabinet table when these phantom flyers were on the books are now endorsing Mr. Prentice. His opponent, Mr. Lukaszuk, was much more harsh on Ms. Redford, who remains the PC MLA for Calgary-Elbow. 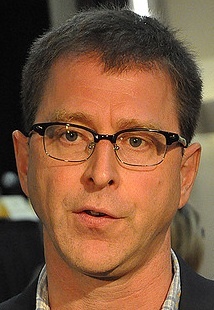 The former Deputy Premier said he would have his former boss thrown out of the PC Caucus and would ask a retired judge to investigate the allegations (Justice Minister Jonathan Denis, also supporting Mr. Prentice, today asked the Royal Canadian Mounted Police to decide whether there should be an investigation). This leads me back to my initial question: Which of the three leadership candidates would make the best Leader of the Opposition? For the past four decades, this would have been a nonsensical question. But in 2014, the Tories face a relentlessly aggressive Wildrose opposition flush with cash and preparing for an election. There is an increasingly real possibility that the PC Party could be in opposition after the next election. Mr. Prentice served in the Conservative Official Opposition benches in Ottawa for two years during the dying days of Paul Martin’s Liberal government, a time which may oddly familiar similar to the current politics in Alberta. An ambitious politician, Mr. Prentice does not strike me as someone who would be interested in remaining in the opposition benches if the PC Party were to lose the next election. 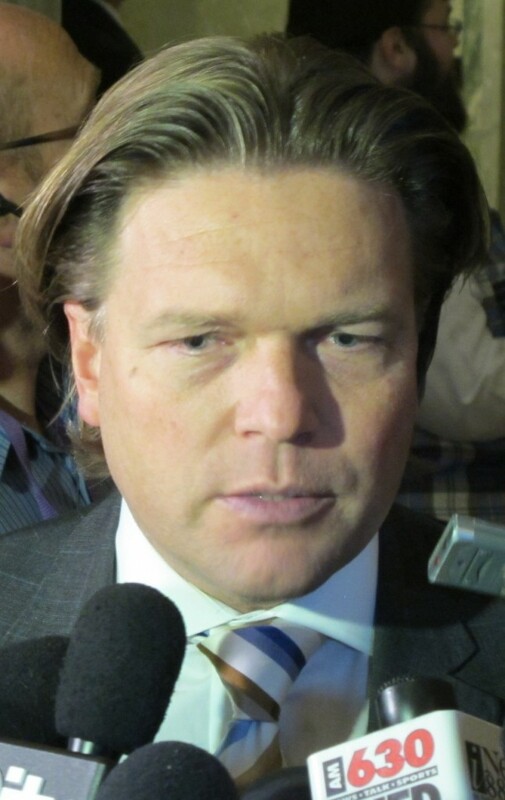 Mr. Lukaszuk is well-known for his partisan attack dog-style in Question Period, and might thrive in the opposition benches. Mr. McIver served as the unofficial opposition to Mayor Dave Bronconnier on Calgary City Council, but, like Mr. Lukaszuk, he has no support from his PC MLA colleagues. 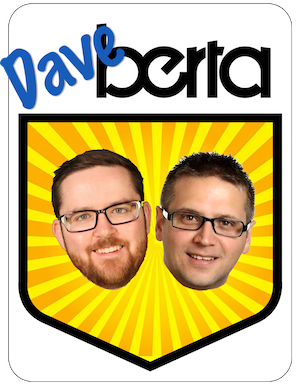 In light of recent revelations, perhaps some time spent in the opposition benches could inject a much needed dose of humility into Alberta’s Progressive Conservatives, who have become very comfortable with the trappings of political power. Despite coming within a hair of losing the last election, the Tories act as if they are an invincible force. This recent string of scandals may help prove that the PCs are not invincible. This entry was posted in Alberta Politics and tagged 2014 Alberta Progressive Conservative leadership race, Air Redford, Alison Redford, Auditor General Leaked Report, Calgary-Elbow, Climate Change, Dave Bronconnier, Doug Horner, Fake Promises, False Passengers, Government Pay-Freeze, Jim Prentice, Jonathan Denis, Merwarn Saher, MLA Airplane Scandal, MLA International Travel, MLA Travel Expenses, Palm Springs, Paul Martin, Redford Flight Scandal, Ric McIver, Royal Canadian Mounted Police, Sky Palace, South Africa, Thomas Lukaszuk on July 29, 2014 by Dave Cournoyer. 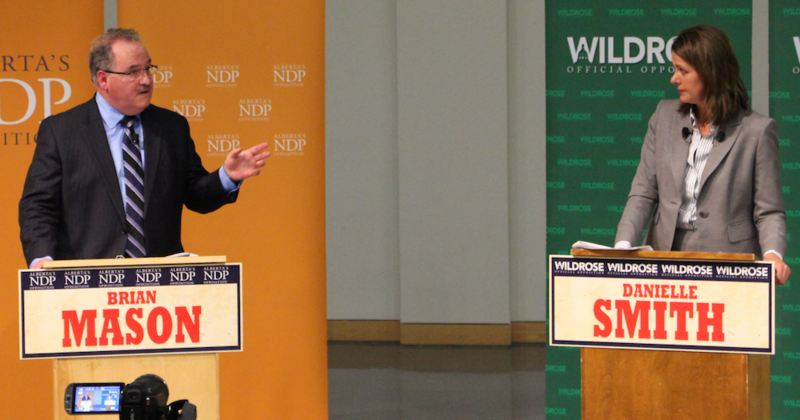 NDP leader Brian Mason and Wildrose leader Danielle Smith spar at a University of Alberta debate. Perhaps one of the most unexpected developments in Alberta politics in 2013 was the emergence of the informal alliance between the New Democratic Party and the Wildrose Official Opposition. It was not uncommon in 2013 to see NDP and Wildrose MLAs working together, or tackling the same issues during Question Period on the floor of the Assembly, but the informal alliance existed outside the Dome. NDP leader Brian Mason and Wildrose leader Danielle Smith toured the province holding one-on-one policy debates in college and university campus lecture theatres. The debates were very well attended, and they were certainly more entertaining and informative than a mid-election leaders debates. I cannot remember when two party leaders last debated in this type of public forum. It was refreshing. Last year, the NDP struggled to find their footing in the new political environment created by the 2012 election. Accustomed to running circles around the Liberal official opposition, the NDP were not yet accustomed to competing with the more conservative Wildrose official opposition. With this informal alliance, and a consistent message, the NDP found their footing in 2013. They may not be on the cusp of forming government, but they are receiving much more media coverage and public attention than they were in 2012. Although the two parties worship different ideologies, there is a kind of mutual respect between the two groups because of their defining ideologies (example: social democracy and libertarianism). There also exists a mutual distaste of the wishy-washy moderate politics of the Progressive Conservatives and the Liberals. Most recently, the Wildrose and NDP (and Liberals) stood together in opposition to Premier Alison Redford‘s hastily introduced Bill 45 and Bill 46, which stripped away collective bargaining rights of public sector workers and attacked free speech rights of ordinary Albertans. It was a strange sight to see the Wildrose defending the rights of public sector workers. But their opposition to the anti-labour laws was not a show of support for organized labour, but a reflection of their libertarian values around freedom of speech and expression. And, not unexpectedly, there is an electoral strategy element to this informal coalition. If the Wildrose is to defeat the PCs in the next election, they need to win votes away from the governing party and they need other parties to do so as well. 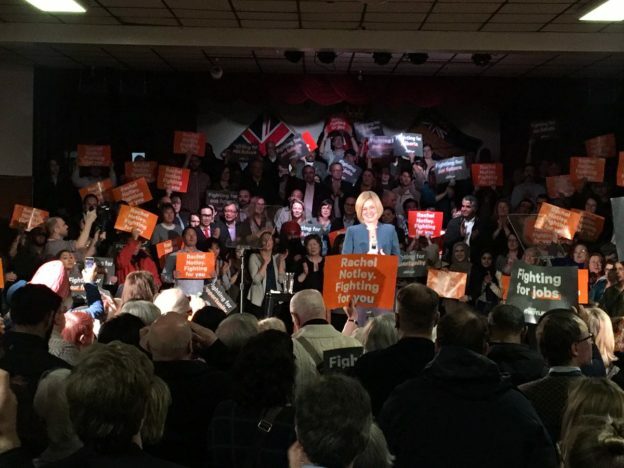 As the Wildrose does not have a strong base of support in Edmonton, the NDP are well-positioned to steal votes away from the Tories in the provincial capital. 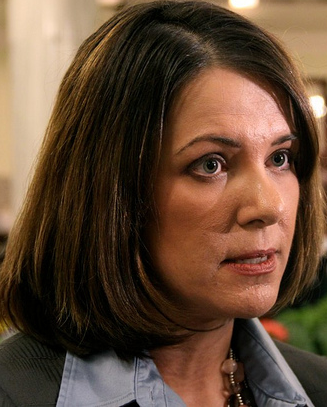 Will the NDP Wildrose alliance survive 2014? As with any alliance of convenience, the effort will succeed as long as the groups involved are able to work together to achieve similar aims. Like the informal alliance between Stephen Harper‘s Conservatives and Jack Layton‘s NDP before the 2006 election that toppled Paul Martin Liberals, I expect the two groups will continue down this path until the ballots cast in the next provincial election are counted. After that, all bets are off. This entry was posted in Alberta Politics and tagged Alison Redford, Brian Mason, Danielle Smith, Jack Layton, Paul Martin, Stephen Harper on December 19, 2013 by Dave Cournoyer. NDP leader Brian Mason and Wildrose leader Danielle Smith spar at their latest debate hosted by the University of Alberta Political Science Undergraduate Association. Three years before the next provincial election, a public debate tour might not be where you would expect to find the leaders of two political parties. Breaking convention, Wildrose Party leader Danielle Smith and Alberta NDP leader Brian Mason are joining forces to bring provincial politics to college and university campuses across Alberta. In the second of a planned seven stops, the two leaders stood at their podiums in front of a crowd of 400 at the University of Alberta last night to debate the future of Alberta. It made me wonder when was the last time one party leader faced another in such a public arena and reflect on how this format is more humanizing than the sterile television studio we typically watch our political leaders debate in. Needless to say, it was a highly entertaining evening. Ms. Smith and Mr. Mason playfully sparred over issues facing the energy sector, pipelines, the economy, post-secondary education, health care and public services. On so many issues, it was refreshing to see two distinct opinions being debated. It was also refreshing that, for a change, the long-governing Progressive Conservatives were not always the centre of attention. 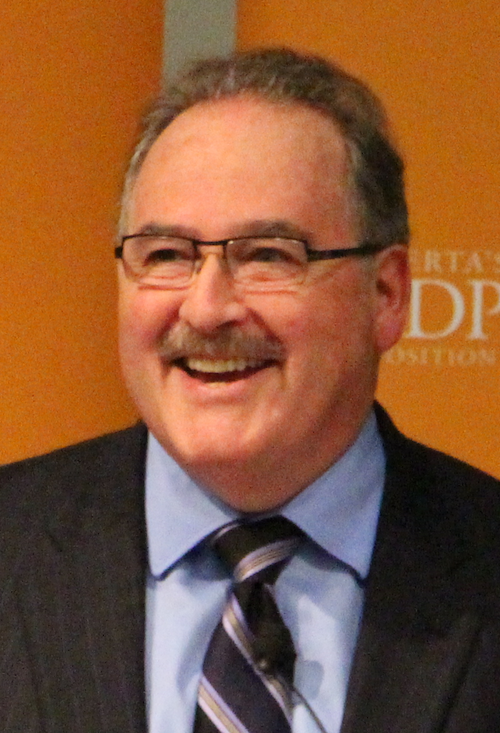 Highlighting the point of the debate tour, Mr. Mason urged the crowd to “think past the PC government,” reminding them that he was in Grade 11 when the Tories first formed government in Alberta. On government spending, Mr. Mason cleverly pledged his party would not raise taxes, but reversing tax cuts implemented by former Tory finance ministers Stockwell Day and Steve West. Ms. Smith affirmed that new pipelines would help Alberta restore its revenue stream, and worried that the government was becoming too centralized, especially in health care and potentially in post-secondary education. On the topical issue of pipelines, Mr. Mason reaffirmed his party’s support for refining bitumen in Alberta, rather than creating refinery jobs in Texas and China. Ms. Smith avoided commenting on the Keystone XL and Northern Gateway pipelines, instead focusing on the Energy East proposal that would pump oil from Alberta to New Brunswick (which Mr. Mason said he also supports). While it may seem odd that the two opponents would so comfortably share the stage, there is method to this strategy. After recent budget cuts and government scandals, the two parties are betting that Albertans will be less enamoured with Premier Alison Redford‘s Tories when the next election approaches. If the Wildrose wants to defeat the Tories in the next election, they not only need to steal votes away from the four-decade old political dynasty, they need other parties to do so as well. While the Wildrose does not have a strong base of support in Edmonton, the NDP are well-positioned to steal votes away from the Tories in the provincial capital (the NDP increased their vote share in Edmonton from 18% in 2008 to 21% in 2012). If this sounds a tad familiar, there are some parallels that can be drawn to the strategy used by Conservative leader Stephen Harper and NDP leader Jack Layton to destroy Paul Martin‘s Liberal Party in the mid-2000s (except in this case, the Martin Liberals are the Redford Tories). This entry was posted in Alberta Politics and tagged Alison Redford, Brian Mason, Danielle Smith, Jack Layton, Paul Martin, Stephen Harper, Steve West, Stockwell Day, Thomas Lukaszuk on September 19, 2013 by Dave Cournoyer. 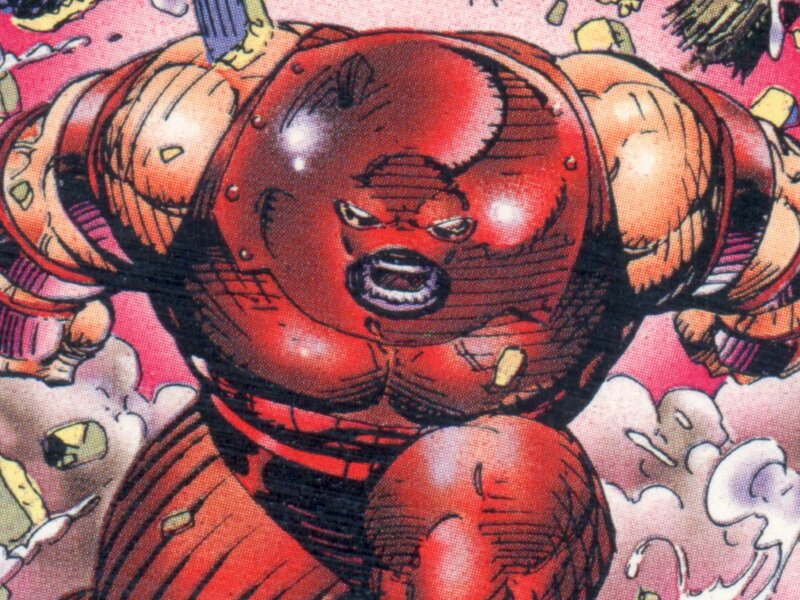 alison redford attends the bilderberg. thomas mulcair visits the oilsands. 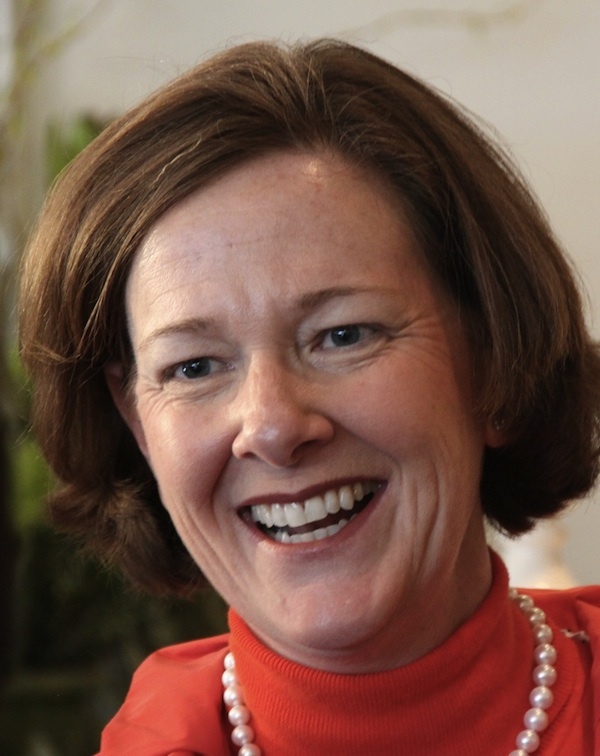 Premier Alison Redford is attending the 2012 Bilderberg Group conference. There are no shortage of internet conspiracy theories about the mysterious Bilderberg Group conference, but now Alberta Premier Alison Redford will know the truth about the invite-only private annual meeting of the world’s top neo-liberal financial, business, and political elites. Premier Redford has been invited the the event, which is being held in Virginia from May 31 to June 3. Only a small group of Canadian political leaders have been invited to attend, including Prime Minister Stephen Harper, former Prime Ministers Jean Chretien and Paul Martin, and former premiers Mike Harris and Gordon Campbell, to name a few. As the emperors of industry behind the Bilderberg Group continue to push failed neo-liberal economic policies that have helped create crumbling markets across the globe, the unbounded potential of Alberta’s natural resource wealth will undoubtedly be a topic of discussion. Breaking from the cries of outrage displayed by many of her Conservative counterparts, Premier Redford has taken a nuanced approach to responding to Mr. Mulcair’s comments that Alberta’s natural resource wealth has contributed to a high Canadian dollar and the decline of Ontario’s manufacturing industry. Thomas Mulcair: It's a trap! 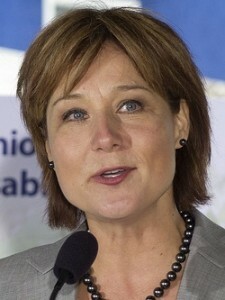 Rather than playing into Mr. Mulcair’s strategy to leverage a wedge issue among many voters outside of Alberta (especially in the economically depressed and voter rich southern Ontario) who are uncomfortable with the West’s economic growth and resulting environmental issues, Premier Redford has largely played it cool when responding to criticisms of the oilsands. 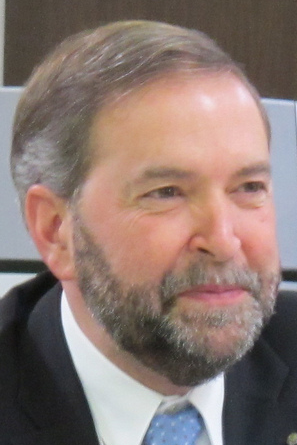 For all the criticism of Mr. Mulcair’s strategic play, it provides further evidence that the NDP Official Opposition under his leadership are prepared to use the same type of wedge politics that Prime Minister Harper’s Conservatives have successfully used over the past eight years. It should be noted that Ms. Smith’s Wildrose Party attempted to emulate the same type of wedge politics in the recent provincial election. Premier Redford’s calm response is a break in style from recent political leaders like former Premier Ralph Klein, who expressed little interest in taking a leading role on the national stage. As well as a change in tone, Premier Redford has made a number of political moves that suggest a shift toward Alberta’s provincial government becoming a serious player on the national stage, including beginning discussions with other provincial leaders about a [still vaguely defined] National Energy Strategy. Earlier this month, Premier Redford announced the opening of an Alberta Office in Ottawa. 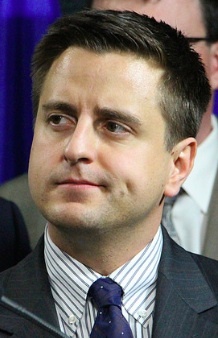 Ms. Smith criticized the announcement, suggesting that the 27 Conservative Party Members of Parliament were doing a good enough job advocating for Albertans in the national capital. As both Ms. Smith and Premier Redford know, many of those Conservative MPs showed various levels of support for the Wildrose Party in the recent election. As a former lobbyist herself, Ms. Smith will undoubtedly be aware that successful lobbying includes more than meeting with politicians. One person rumoured to be in line for the appointment as the Alberta government’s lobbyist in Ottawa is former Finance Minister Ted Morton, who is a former colleague of now-Prime Minister Stephen Harper. In Ottawa yesterday, Calgary-Centre Conservative MP Lee Richardson announced he had been hired as Premier Redford’s Principal Secretary and senior strategist. Before first heading to Ottawa in the 1980s, Mr. Richardson was the Chief of Staff to Premier Peter Lougheed, who may have been Alberta’s last provincial leader who was also a significant player on the national stage. This entry was posted in Alberta Politics and tagged Alison Redford, Danielle Smith, Gordon Campbell, Jean Chretien, Lee Richardson, Melissa Blake, Mike Harris, Paul Martin, Peter Lougheed, Ralph Klein, Stephen Harper, Ted Morton, Thomas Mulcair on June 1, 2012 by Dave Cournoyer. surveys show big-tent tories and ideologically polarized opposition. A new survey released in the National Post by Forum Research Inc. shows Alberta’s Progressive Conservatives with 38% province-wide support and the opposition Wildrose Party sitting at 29%. This survey shows the Liberals at 14%, New Democratic Party at 13%, and the Alberta Party with 3% province-wide support. Surveys conducted by Environics, Angus Reid, and Lethbridge College in the final months of 2011 tell a different story, showing the Tories with a commanding lead placing more than 20% ahead of the opposition parties. Finding different results, the Forum survey shows the PCs up one-percent from a previous survey conducted by the same firm in December 2011 and the Wildrose up six points in the same period of time. I will wait to see whether other surveys begin to show similar results before I begin to believe that the PCs and Wildrose are this close in electoral support. It is important to remember that surveys and polls are snapshots of where a population is at an exact moment in time. They are helpful at detecting trends, but as all political watchers should remember – campaigns matter – and Albertans will have an opportunity to see their political parties in full electoral action in the coming months. 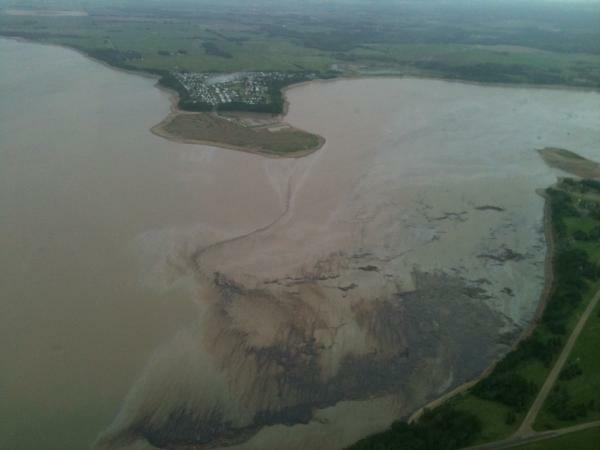 Without Premier Ed Stelmach as their lightening-rod in Calgary perpetually unhappy oil company community, the Wildrose Party appears to have lost the steam from the high point they sat at in mid-2010. In response, they are trying their best to cast Premier Alison Redford as a flip-flopper and have come out strong with negative advertising aimed at the Tories. There is plenty to criticize in the Tory record book, but the relentless angry and outrageous attacks lend little suggestion that the Wildrose Party would be a very pleasant crew if they ever form government. As I said in the National Post, there are not many people talking about the Wildrose Party forming government these days – except Wildrose Party leader Danielle Smith. Ms. Smith appears to be doing very little to manage the expectations of her party’s core activists, many whom are still wearing the [wild]rose coloured glasses they donned when the their party hit the peak of its meteoric rise in 2010. Not properly managing expectations can be a politically deadly mistake. While the political environment was different, the most appropriate example may be the Alberta Liberal experience following the infamous 1993 election. With early polls showing a meteoric rise in the polls for the long-outcast Liberal Party, leader Laurence Decore had pumped expectations of forming government so-high that when his party only formed Official Opposition, he faced open revolt from his caucus and defections to the Tories. The Liberals have not come close to this high-point since. I also point to the quick rise and fall of Canadian Alliance leader Stockwell Day or Liberal Prime Minister Paul Martin, who both filled their supporters minds with great expectations of electoral glory, only to disappoint when the votes were counted. What results of the Forum survey and other surveys suggest to me is that the PCs remain Alberta’s big-tent political party – one that both blue conservatives and moderate liberals are comfortable joining – and that the opposition is increasingly polarizing to the political left and right. The rise of the conservative Wildrose Party to what may become the default opposition and the increase in support for the social democratic NDP may leave a difficult space for the moderate opposition parties that want to occupy the political centre – the Liberal and the Alberta Party. This entry was posted in Alberta Politics and tagged Alison Redford, Danielle Smith, Ed Stelmach, Laurence Decore, Paul Martin, Stockwell Day on January 24, 2012 by Dave Cournoyer.